Please type your desired tags, e.g. Cancer Metabolism, Latin America, NMR Spectroscopy, Pathobiology, Medicinal, Bionanosciences, Innate Immunity, Medical Rhetoric, Editing, Hybrid Course Design, Information Systems, 3d printing, Business Communication, History of the Book, LGBTQ literature, and etc. Ser vice - r eviewing, r efer eeing and administr ative work with pr ofessional societies and organizations; departmental, college, university committees; community ser vice, etc. Research Grants Science Review Panel for U.S. Environmental Protection Agency, Air Chemistry and Physics. Reviewer for Journal of Vacuum Science and Technology B. Prepare ~16 page camera-ready document containing news of Microbeam Analysis Society. Health Professions Advisory Committee, University of Texas at Dallas. Board of Directors, Green Faculty Commons Club, University of Texas at Dallas. Reviewer of Research Grants, Special Study Section, National Institutes of Health. Member of Long-Range Planning Committee for Microbeam Analysis Society. Safety Committee, University of Texas at Dallas. Parking and Security Committee, University of Texas at Dallas. Faculty Committee to interview candidates for President of the University of Texas at Dallas, April 1994.
secondary school science teachers, September 18, 1993.
an analytical chemist, July 21, 1993. (with J. Hoh, Johns Hopkins School of Medicine) Scanned Probe Microscopies New Orleans, LA, August 4, 1994. Through Bill Stancliff Arranged for Fire Extinguisher Training at Fall 1994 Safety Training Seminar for Students and Staff of Chemistry Program, University of Texas at Dallas, June 2, 1994. Arranged and Hosted Short Course "Scanning Electron Microscopy: An Introduction" Given by Ove Thompson and Jo Long of Philips Electronic Instruments Company for Faculty, Staff, and Students of the University of Texas at Dallas, July 26, 1994. Reviewer of Research Grants for National Science Foundation. Secretary of Microbeam Analysis Society. Committee to Select and Interview Candidates for Assistant Professor of Chemistry, University of Texas at Dallas, January, 1996. Reviewer of manuscripts for Journal of Vacuum Science and Technology B.
Scanning Probe Microscopy: Instrumentation and Applications Minneapolis, MN, August 15, 1996. Scanning Probe Microscopy: Introduction and Industrial Applications. Coordinated Task Force to Determine Instrumentation Needs for Chemistry Teaching Laboratories. Arranged for Bids from Vendors for Purchase of 2 UV/Vis Instruments, 4 Gas Chromatographs, and 3 FT-IRs for Lower Division Laboratory Courses. Reviewer of manuscripts for Microscopy and Microanalysis. Director, Executive Council, Microbeam Analysis Society (1997-2000). Library Representative for Chemistry Department. Coordinated Installation of Perkin Elmer Inductively Coupled Plasma Atomic Emission Demonstration Site. laboratory demonstration for ~20 students from Fairhill School, Dallas, TX, April 3, 1998. Science Fair Judge, Southwest Association of Episcopal Schools, April 24, 1998. Reviewer of manuscripts for Microscopy and Microanalysis and Journal of Vacuum Science and Technology. Project Kaleidoscope F21 Member. Attended 1998 PKAL F21 National Assembly, Arlington Park, IL, September 18-20, 1998. "Women in Chemistry: Scanning Tunneling Microscopy and Career Preparation", Lecture presentation to chemistry students at J. J. Pearce High School, Richardson, TX, December 11, 1998. Girl Scout Leader for 2nd Grade Brownies at The Parish Day School, Tejas Council, Service Unit 161, Troop 805. Project Kaleidoscope F21 Member. Attended 1999 PKAL F21 National Assembly, College Park, MD, October 22-24, 1999. Health Professions Advisory Committee (Spring 2000). Performed Science Experiment for 4 Year Old Preschool Class at The Parish Day School, Dallas, TX. Girl Scout Leader for 3rd Grade Brownies at The Parish Day School, Tejas Council, Service Unit 161, Troop 805. November 30 - December 3, 2000. Performed Science Experiment for Kindergarten Class at The Parish Day School, Dallas, TX. Service Unit 161, Troop 805. Reviewer of manuscripts for Journal of Vacuum Science and Technology. Secretary, Executive Council, Microbeam Analysis Society (2001-2003). Outside Chair for Ph.D. Defense of Tracy Lynn Greer, Human Development, June 27, 2002. Reviewer of Grant Proposals for National Science Foundation. Secretary for Chemistry Faculty Meetings. Member of Adhoc Committee for 3rd Year Review of Matthew Leybourne, Geosciences (Fall 2002). Member of Search Committee for Dean of Natural Sciences and Mathematics, University of Texas at Dallas (Spring 2003). Scout Council, Service Unit 161, Troop 805. President-elect, Microbeam Analysis Society (December 2003-August 2004). 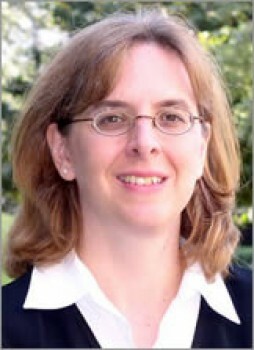 Associate Head of Chemistry, University of Texas at Dallas (October 2003-present). Member of Search Committee for Dean of Natural Sciences and Mathematics, University of Texas at Dallas (2003-2004). University Committee on Effective Teaching. 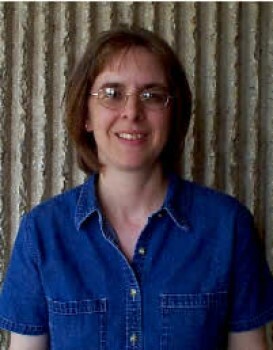 President, Microbeam Analysis Society (August 2004 - August 2005). Reviewer of manuscripts for Journal of Vacuum Science and Technology, Journal of the American Chemical Society. Past-President, Microbeam Analysis Society (August 2005 - August 2006). Member of Search Committee for Dean of Natural Sciences and Mathematics. Member of SACSCOC Steering Committee. Liaison to UTD Facilities Management for Renovation of Berkner Hall. University Committee on Faculty Mentoring. Programming Committee for Math, Science, Engineering, Technology Learning Center. 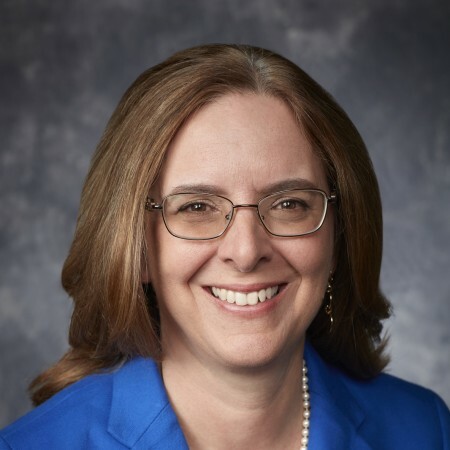 Title of poster: "Correlative STM, FESEM, and TEM Studies of Fibrillar Structures in Liquid Crystalline Polymers"
Dr. Inga Musselman, professor of chemistry at UT Dallas, has been named provost and vice president for academic affairs for the University. She has been the interim provost since 2015. UT Dallas President Richard C. Benson said the choice for the University’s chief academic officer was made after a national search and an extensive interview process involving top candidates. The appointment was effective Dec. 1. 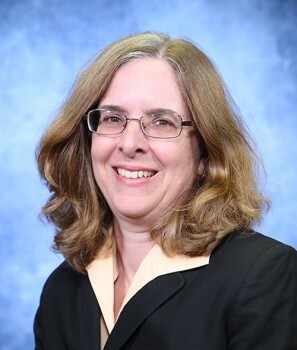 Dr. Inga Musselman, professor of chemistry at UT Dallas, has been named senior vice provost for the University. Musselman, an analytical chemist, joined the UT Dallas faculty in 1992 and since 2008 has been associate provost. In the Office of the Provost, she has overseen the process of faculty review, promotion and tenure. 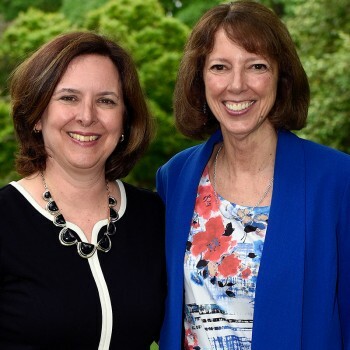 In her new expanded role, Musselman will continue to lead that process while assuming additional important responsibilities in the areas of personnel and finance. RICHARDSON, Texas (Sept. 7, 2004) – Dr. Inga Holl Musselman, associate professor of chemistry at The University of Texas at Dallas (UTD), last month became president of the Microbeam Analysis Society (MAS), a national organization of scientists, researchers and other users of high-powered microscopy. Musselman assumed the group’s top leadership position at the annual MAS scientific meeting, “Microscopy and Microanalysis 2004,” held in Savannah, Ga., after having served as president-elect of the society for the past year. She will preside over next year’s annual meeting, to be held in late July and early August in Honolulu. RICHARDSON, Texas (May 3, 2002) - Two researchers at The University of Texas at Dallas (UTD) received grants totaling $300,000 from the Houston-based Welch Foundation, which annually funds basic chemistry research in Texas. Dr. A. Dean Sherry, professor of chemistry, "Lanthanide DOTA-tetraamide Complexes as Biological Sensors." Dr. Inga Holl Musselman, associate professor of chemistry, "Chemical Contrast in STM Images of Materials for Molecular Scale Sensors and Device Structures."